6:28 a.m. Steamboat Springs Fire Rescue firefighters were called to help an unconscious person in the 27700 block of Silver Spur Street. 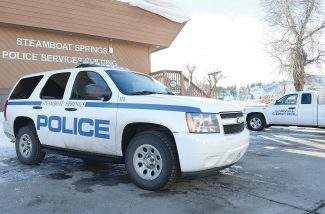 7:57 a.m. Steamboat Springs Police Department officers were called to a report of a person who wanted to complain about a driver at Seventh and Pine streets. 8:30 a.m. North Routt Fire Protection District firefighters were called to help a person who was bleeding in the 57300 block of Golden Tide Place. 1:52 p.m. Steamboat firefighters were called to help a sick person in the 2800 block of Owl Hoot Trail. 5:51 p.m. Officers were called to a report of a person bitten by an animal in the 1400 block of Pine Grove Road. 5:56 p.m. Officers were called to check on the welfare of a person in the 1300 block of Walton Creek Road. 9:10 p.m. Officers were called to a report of a missing person. 10:20 p.m. Officers were called to a report of a theft at a gym in the 100 block of Lincoln Avenue. 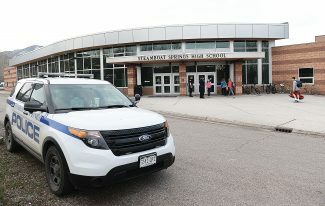 • Steamboat police had 18 cases that included calls for service and officer-initiated incidents such as traffic stops. • The Routt County Sheriff’s Office had 13 cases that included calls for service and officer-initiated incidents such as traffic stops. 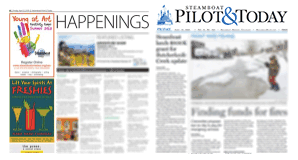 • Steamboat Springs Fire Rescue responded to two calls for service. • Oak Creek Fire Protection District responded to two calls for service. • North Routt Fire Protection District responded to one call for service.